Accelogic discloses the results of its pioneering research on optimization strategies for memory-access acceleration of HPC codes. Dr. Juan Gonzalez, the lead researcher of Accelogic’stechnologies on data compression, presented to the NAS Division at NASA Ames the strong results achieved under current contracts with NASA. A hefty 2.5x speedup was evidenced in the latest releases of Accelogic’s prototypes, which use NASA’s NAS Parallel Benchmark software as the testing platform. http://accelogic.com/wp-content/uploads/2017/06/kop.jpg 246 450 admin http://accelogic.com/wp-content/uploads/2017/02/logo.png admin2015-09-20 06:15:052015-09-20 06:15:05Accelogic discloses the results of its pioneering research on optimization strategies for memory-access acceleration of HPC codes. Accelogic delivers accelerated prototype of Cart3D with >12x acceleration. 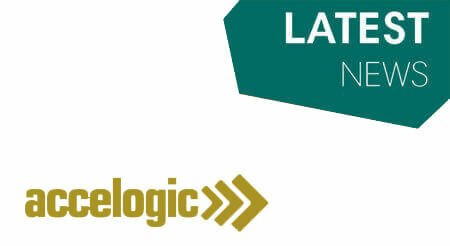 Accelogic is selected by the U.S. Army for the acceleration of the CREATE-AV Helios framework. Accelogic delivers prototype to the U.S. Army with 12.7x acceleration of a vortex convection explicit solver. DARPA extends commitment to Accelogic’s project on novel cybersecurity platforms.